Is Happiness the Secret to Engagement? 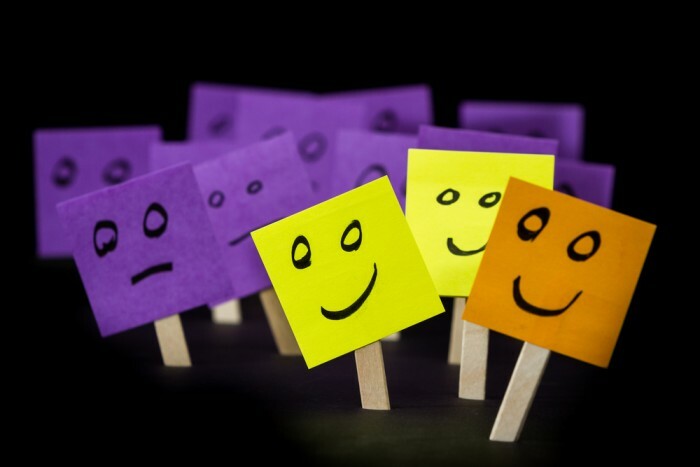 This story of using positive psychology is shared by Shawn Achor in his TEDx talk, “The Happy Secret to Better Work,” and is an example of how re-framing your circumstances can allow you to achieve a better, happier mindset. You’ve probably heard people say that they “only hire the best and brightest” from the best schools or with the best grades. So you may have been somewhat surprised to have learned in our discussion about grit, that intelligence alone is not a good predictor of success. Intuitively, we probably know first-hand that the opposite is true. If we’re experiencing unhappiness or distress, we’re likely to be distracted, and consequently less motivated and engaged at work. But we also know that what Achor says is also true; we’re more involved — engaged — in our work when we’re in a positive frame of mind. However, Gallup finds that most U.S. workers continue to fall into the “not engaged“ category. These are not what would classify as “toxic” employees, rather these employees show up to kill time. Their efforts are essentially the bare minimum. According to Gallup’s 2017 State of the American Workplace Report, 67% of U.S. workers were not engaged in their jobs. Interestingly, while only 33% of employees were engaged at their jobs, this represents the highest level of engagement since Gallup started measuring such things. Worldwide, the level of employee engagement is even lower at 13%. But what about that engaged minority? What value are these positive difference makers bringing to their organizations? In a 2015 study entitled “The Relationship Between Human Capital, Value Creation and Employee Reward,“ by Peter R. Massingham and Leona Tam of the University of Wollongong in Australia, the researchers demonstrated a clear link to the impact of happiness on productivity. Shawn Achor refers to this link between happiness and productivity as The Happiness Advantage, which indicates that the human brain performs significantly better in a happy state than it otherwise does in a neutral or negative state. The data that Shawn cites in his book of the same name demonstrates that “When we are positive, our brains become more engaged, creative, motivated, energetic, resilient, and productive at work.” So, you may be surprised to learn that, according to Shawn’s research: Happiness fuels success, not the other way around.